One of the achievements we aim to accomplish with the research project Object-Oriented Subject is the possibility (and the ability) to communicate our findings with a general audience, contributing to an environment which is favorable to discussions of the topic. 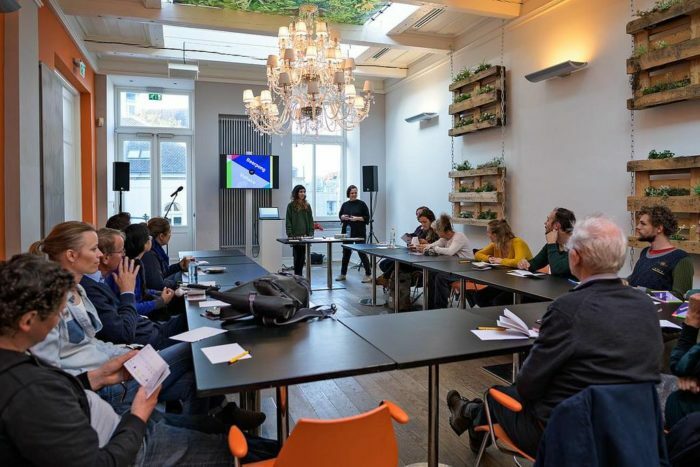 With that in mind, we prepared a workshop wherein we investigate the methods and strategies employed by Facebook, as well as other parties, to build user profiles. 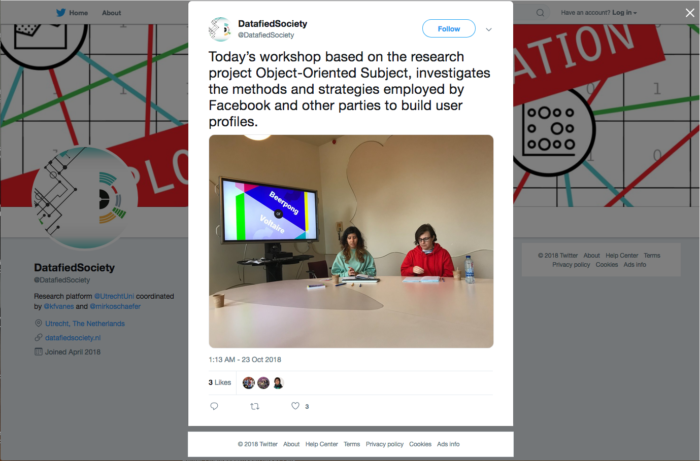 Our attention is turned towards the inferences Facebook makes, i.e., the inclusion, in these profiles, of some properties that were not obtained through direct users’ input. 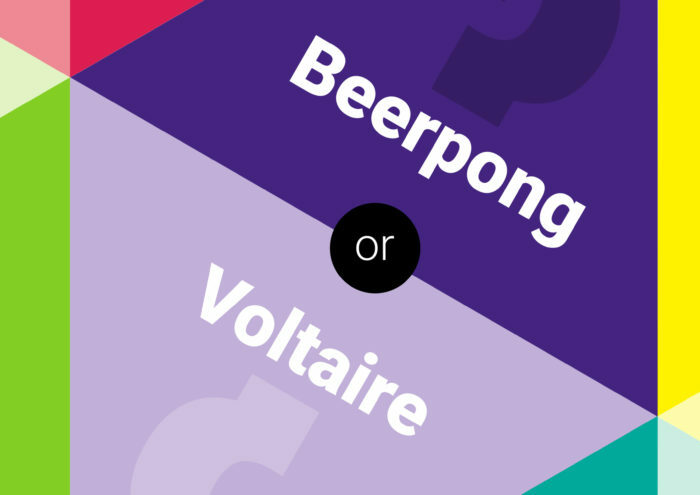 Beerpong or Voltaire?, the title of this workshop, refers to Facebook content which can potentially indicate, with high accuracy, whether a user is likely to be an extrovert or an introvert. This prediction is based on the trivial act of liking content on Facebook. In the context of this workshop we use a fictional dataset composed of User Likes and psychological data which is traditionally obtained from extensive questionnaires. This fictional dataset allows us to infer the participants’ personality traits based on their choices during the workshop. Rather than building trustworthy psychological profiles, our aim is to illustrate one of the methods deployed to infer user characteristics from available user data, by Facebook as well by many others, thus starting a discussion around the possible consequences the employment of this method might have for our daily lives, economically, politically and socially. The workshop is conceived for a general audience as well as for students. No specific knowledge or expertise is needed. If you are interested in knowing more about the workshop or in hosting one or more workshop sessions, please contact us: lucia@objectorientedsubject.net or lidia@objectorientedsubject.net.